It is rare that I write about non-Blades related subjects these days. So, to round off the year, I thought I would cover off a few thoughts about wider football issues in 2012. To begin, a few thoughts on the adoration and adulation for Lionel Messi. 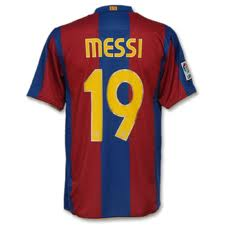 Lionel Messi is a great footballer. At times he is simply unstoppable; an irresistible footballing force, cutting through opposition defences with precision and an incisiveness capped by an un-erring ability to find the back of the net. He is the greatest player of his generation and probably in the top 3 players of my lifetime. So much to admire, with very few elements of his game that would cause annoyance or frustration. Sadly this year the media obsession with the diminutive Argentine has driven me to distraction. With so many media channels; both written and spoken, online, broadcast, published and 24 hour news channels with content to fill. Everyone needs a new angle, a new fact, to elevate a player to messianic status and beyond. Then it came. Messi had set a new record they said. "Most goals scored in a calendar year." Calendar year? Since when does football refer to calendar years? The only thing "Annual" in football were the Shoot! and Topical Times Football books I used to receive each Christmas. "He takes the record from Gerd Muller who scored 85 goals for Bayern Munich in 1972" the reports stated. Much to the surprise of the majority of football fans, who knew little of the record, and I am guessing Der Bomber, who would have perhaps enjoyed the acclaim of such a title had it been properly bestowed on him before it was taken away. Then came reports that Muller didn't actually hold the record. It was claimed that Zambian Godfrey Chitalu had scored 107 in 1972. This dispute led to FIFA taking their usual Ostrich like response, but for once I actually agreed with them. They claim not to keep records on annual basis or for individual countries. That is because it is a work of faction. Numbers and facts used to create a story, build the myth. The thing is, it is wholly unnecessary. To manufacture or resurrect contrived records to somehow accentuate his achievements, actually diminishes his feats. He scores lots of goal, many more than most, many of them that others would struggle to score. That's it. If he top scores in a season - great. If he sets a record for the most goals in a season - brilliant. And to think, the likelihood is that you have had the opportunity to see every single one of them. I grew up in an era when, to see Maradona, Platini and Zico we were left with sporadic viewings on Midweek Sports Special, On the Ball or The Big Match. We saw their "best bits", assuming a camera crew was there for the game in question. If the cameras were there the wrong week, your luck was out. If there was an amusing clip from an African Nations Cup tie for Jimmy Greaves to chuckle at, we got that instead. How many great goals, mazy runs and wonderful trickery from those three and others were seen by those in the stadium but few others? If the coverage of football was as limited in Italy, Spain and Brazil as the Football League was in England, then that would certainly be the case. We are fortunate to see Messi week in week out, the great, the good, the infrequently ugly. Let us just sit back and soak it all up. Watch in awe, sit mesmerised and clap and nod in approval. Don't bother looking for the next superlative, don't compare, don't look to create meaningless titles and records.